If you have various kinds of products you plan on selling to the world then launching an eCommerce website is the best route you can take. E-commerce is a trending industry with thousands of people succeeding in it because of its mode of operation. Nowadays, people make use of the web to do their shopping and that contributes to the popularity of eCommerce sites. Building an online store is the best platform you can use to present your products and services to millions of online users. Even though online business offers people favorable ground to run a business world-wide with only a laptop and Internet connection, there are still things you must do so as to be successful in it. It’s not only about building a website, displaying your products and you will start making money immediately. Here you will find out some things that will you to easily project your eCommerce website and make it a success. If you really want to avoid the pitfalls that come with opening a new eCommerce site, the below practices are what you should look out for to easily gain balance and sales. The hosting provider you choose plays an important role in the success of your eCommerce site. You should think whether to opt for self-hosted or third party hosting system. The self-hosted system provides you with unlimited customizable options but it still comes with lapses such as security issues, fewer eCommerce features and much more. On the other hand, the third-party eCommerce solutions such as Shopify, BigCommerce, etc. have secure and full-featured content management system that will make it super easy to manage your site. The third-party hosting system also has an expert development team that makes sure your website is well optimized to function fully while you focus on other areas that will attract sales. If you want to increase click-through rates and sales then ensure your website is optimized for mobile use. The benefits of mobile eCommerce site optimization in the area of attracting customers, increasing customer’s engagement and boosting sales can never be underestimated. The numbers of online users who access the web from their mobile devices are increasing daily. Google on April 2015 includes mobile site optimization on their ranking factors. This means that websites that are not optimized for the mobile view will not rank well on the search engine results. Mobile optimization makes it possible for your website to fit correctly on the screen of your customer’s mobile phone. This makes your products images to showcase beautiful, tempting your customers to make a purchase. If you are planning to launch an eCommerce website then ensure you have unique products. 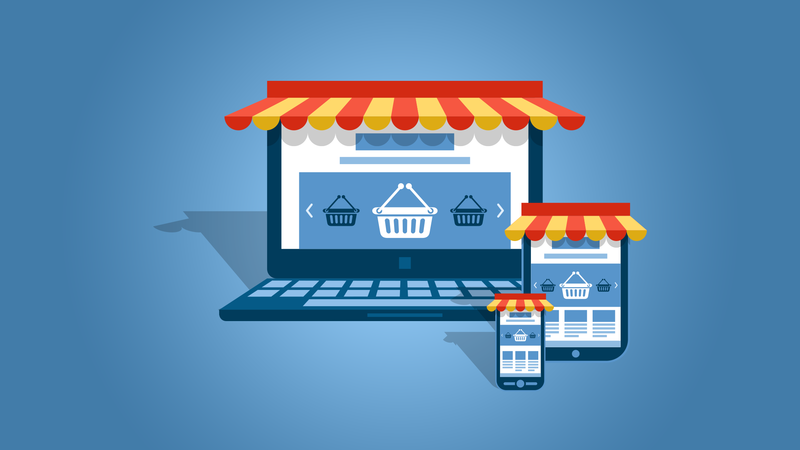 There are so many authoritative and well-established eCommerce sites, so you are in with outrageous competition when you offer the same products those sites have. You will experience a very long battle if you ever try to compete with them. The only way to cut it is to have unique products but if you insist on offering the same products as big eCommerce sites then you must find tactics to present your products in a different manner. That way online shopper will think that there must be something special about your products. Presentation matters so ensure you don’t use the same images and description provided by the product manufacturer. Try to add beauty and taste to it. Whatever you are trying to offer should be perfected in one way or the other before presenting to the public. If you don’t want to fall before getting started then ensure you have solid products and system before going public. Don’t try to taste with your customers because you never know who will be your returning customers. This will also help to avoid viral bad reviews on your products and services on other sites. Running an eCommerce website involves lots of tasks and you’ll need to make so many changes that will cost money. You need to have this in mind before embarking on the journey. Your eCommerce site load speed plays very important role in the success of your business. First, search engines are not friendly to a website that takes a time to open. Secondly, online shoppers hate to click on sites that don’t open quickly. E-commerce sites come with lots of images and products features that will make your site to load very slowly. The key to getting it right is optimization. You can use Google mobile friendly testing tool to find ways to make your eCommerce site load faster. In order to increase customer engagement then make sure your site is well optimized for faster loading times. Online shoppers want to know about this information early before they can relax on your site. So including shipping information is very important since online shopping can be done from any location in the world. If helps your customer to know on time how their items are going to be delivered, the condition of the shipping service, and the cost of the shipping. Don’t fail to include shipping information when launching an eCommerce site. There is no way your customers will not encounter one problem or the other when patronizing your products. This is why excellent customer support is very important for any eCommerce website. Most online shoppers always ensure that any site they are buying from includes customer support either via phone, email or live chat. Ensure your services include that so as to give your customers an assurance that any problem they encounter on your site that there is an available support team to help them solve it. So employing excellent customer support team that knows how to solve customer problem is a good move to every eCommerce sites. This is an important area you must give attention. Your customer’s confidential information such as credit card details must be protected at all times. You are going to have a hard time making sales online if your eCommerce site does not have proper and valid SSL certifications. When your site is certified, it encourages your customers to carry out safe transactions. This information goes a long way in improving your monthly sales. It is essential that eCommerce site is secured with trusted SSL certificate, for that you can choose Let’s Encrypt for free basic SSL certificate or other paid SSL certificate providers to get more assurance. There are so many steps involves in online trading but it will be better if you can find a way to make it easy for your customers to purchase a product without much hassle. Online shoppers hate to go through countless of pages before they can make a purchase. It will be better if one page includes information such as credit card details, shipping option, billing address, etc. The next page will just be to confirm the order and the sale will be complete. Anything that will delay your customers from easily making a purchase must be avoided. The best approach is to make checking out short and straightforward. There are uncountable eCommerce websites running on the Internet and to make money from your new site then you should be ready to do a lot of marketing. Find the right medium for your marketing. Do research where your buyers hang out and market your products there. You can start with Facebook ads and Google ads. This is very important in gaining returning customers. It helps you to build subscribers whom you can be sending products updates and trending blog posts from time to time. In order to make sales and attract new customers, be ready to offer coupons from time to time. Offering coupons during black Friday, valentine day, Christmas and New Year can be a powerful weapon you can use to increase conversion. Or you can give out weekly or monthly offers to increase sales. If you really want to avoid so many mistakes that can hinder you from making money with your eCommerce website easily then ensure you pay attention to the above-mentioned practices.